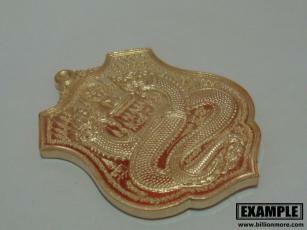 Ceremony: There is amulet blessing from LP Sing on the auspicious occasion. 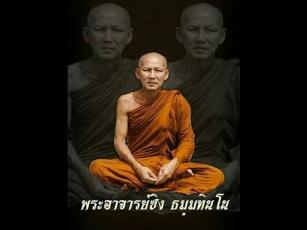 Description: LP Sing an abbot of Wat Traimit, Nakhon Phanom Province invites everybody to worship ‘Satta Nakaraj’ Medal, part of Kathin 2017 (merit event) in order to earn donations to develop and restore the temple. 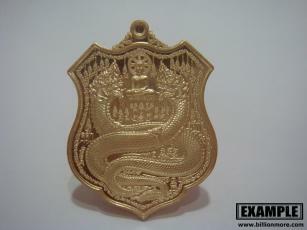 This medal has ‘Naga’ as main image. 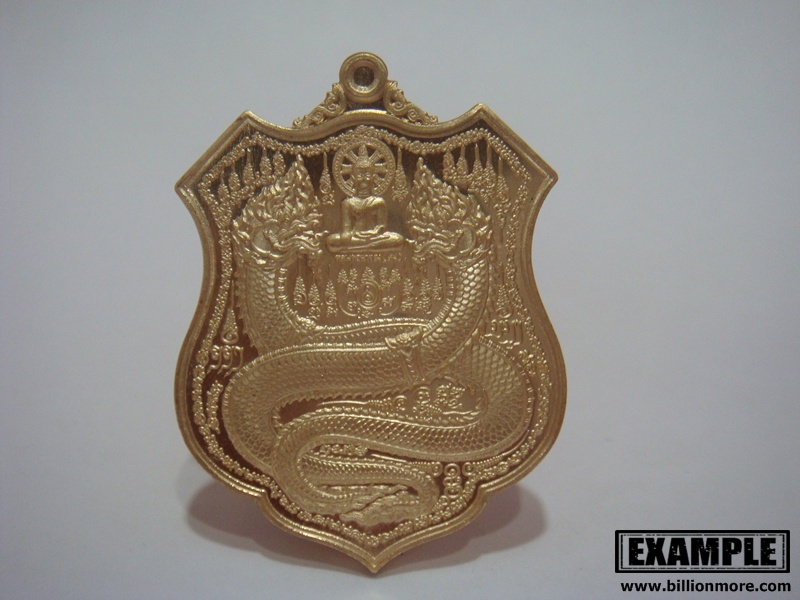 Naga the great serpent being of Buddhism is a symbol of ‘exuberance’ and ‘wealth’ because it can get through the land and the water. 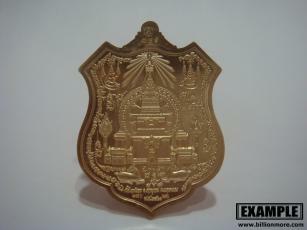 The back of the medal has a picture of ‘Phra That Phanom’ the holy pagoda of Nakhon Phanom Province, Yant characters and a pair of goats turning their faces back that is related to charm. 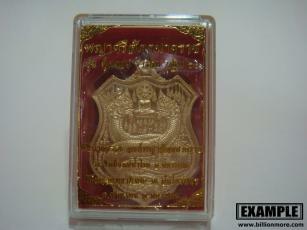 Power: Whoever worships this medal will be safe from dangers, lucky, prosperous and gain mercy from people.